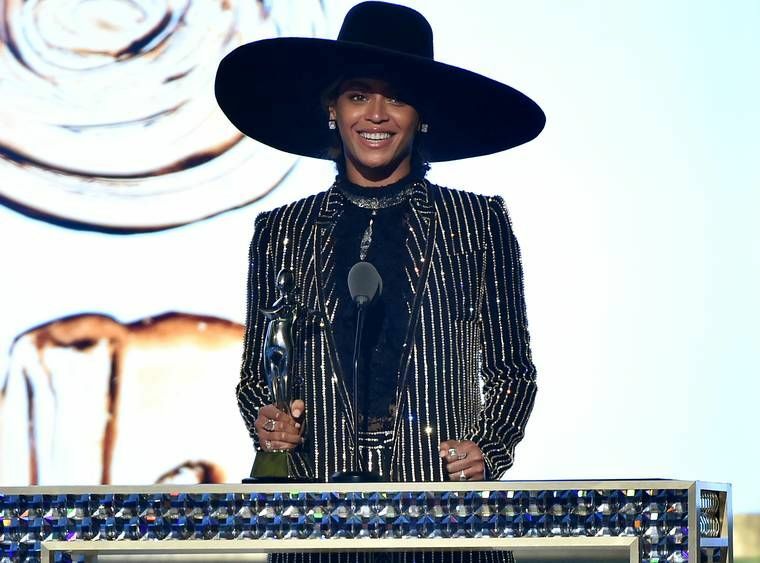 Global superstar Beyoncé was honored with the CFDA Fashion Icon Award at the 2016 CFDA Fashion Awards on Monday, June 6th, in a surprise announcement by CFDA president Diane von Furstenberg that did not come until the end of the show. "Thank you so much, Diane, for the things you just said about me. I feel so much love and I feel so proud. As long as I can remember, fashion has been part of my life. Its effect on me actually started before I was born. Many of you guys don’t know this, but my grandmother was a seamstress. My grandparents did not have enough money, they could not afford my mother’s Catholic school tuition. So my grandmother sewed clothes for the priests and the nuns and made uniforms for the students in exchange for my mother’s education. She then passed this gift onto my mother and taught her how to sew. I want to say thank you to every designer who works tirelessly to make people think they can write their own story. Y’all are fairy godmothers, magicians, sculptors, and sometimes even our therapists. I encourage you to not forget this power you have or to take it lightly. We have the opportunity to contribute to a society where any girl can look at a billboard or magazine cover and see her own reflection. Soul has no color, no shape, no form. Just like all of your work, it goes far beyond what the eye can see. You have the power to change perception, to inspire and empower, and to show people how to embrace their complications, and see the flaws, and the true beauty and strength that’s inside all of us. Thank you so much for this incredible award, I’ll never forget this night. God bless you all. Thank you."